Right now you can get up to 40% off of your Pasta House Purchase! PLUS you can use the coupon code: SAVE3 for an additional 20% off of your purchase. Note – this code may not be valid in all accounts. Note: this is only available for the location listed below. 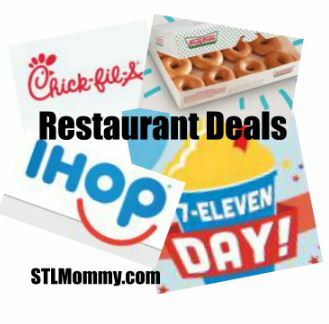 For more bargains visit the Restaurant Deals Page. 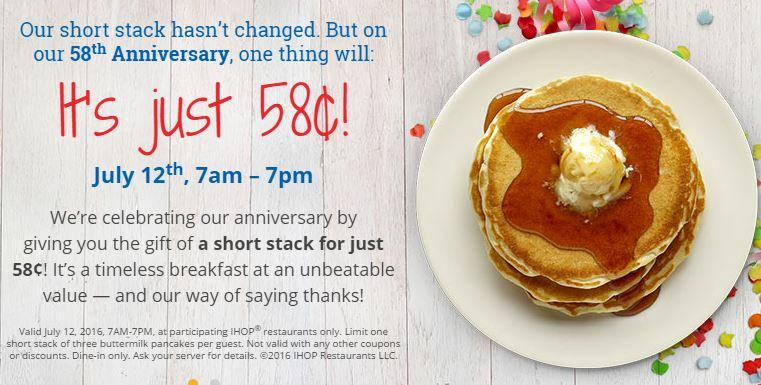 Tomorrow, July 12, 2016 is IHOP’s 58th Anniversary and you can get a short stack of pancakes for only $0.58! This offer is valid from 7am – 7pm, dine in only. We have some HOT restaurant deals coming up next week! Here’s a quick round up so you an mark your calendars. 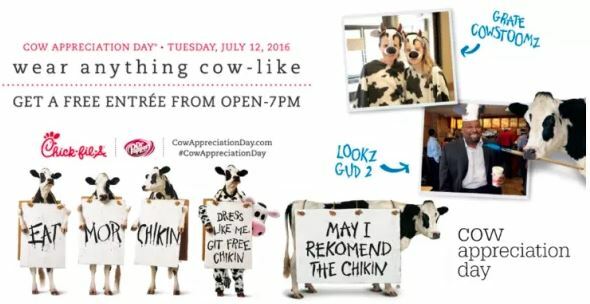 Next Monday is July 11th, a.k.a. 7-Eleven Day! 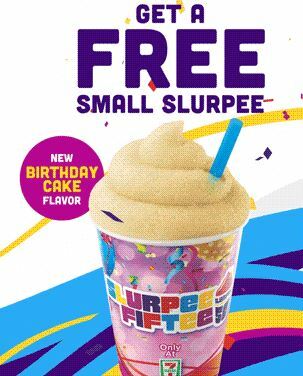 As usual, 7-Eleven is celebrating its big day by giving away free Slurpees. 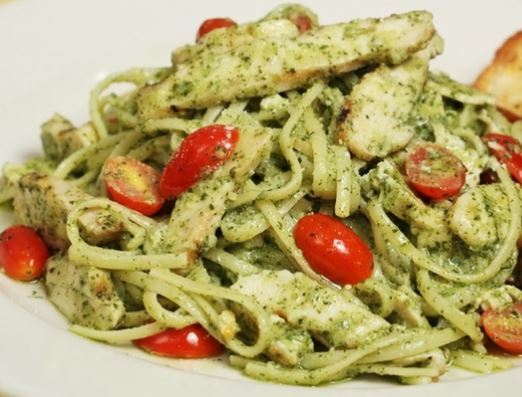 Right now you can get up to 40% off of your Pasta House Purchase! PLUS you can use the coupon code: SUMMER20 for an additional 20% off of your purchase. Note – this code may not be valid in all accounts. Here’s another fun deal to put on the calendar! 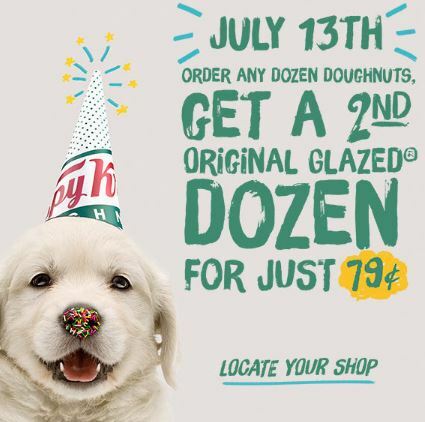 July 13th order any dozen doughnuts at Krispy Kreme and get a 2nd Original Glazed Dozen for $0.79! 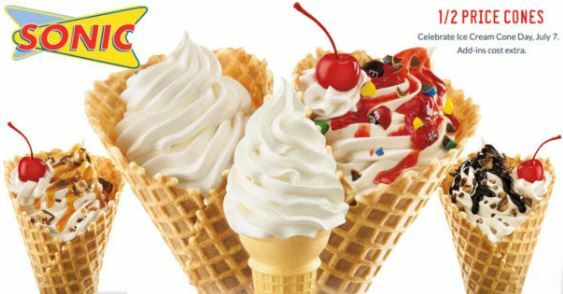 Tomorrow, July 7th, Sonic Drive-Ins are offering up 1/2 price Ice Cream Cones all day long. Head on over to the Sonic Drive-In Website for more details. Mark your calendar because July 12, 2016 is IHOP’s 58th Anniversary and you can get a short stack of pancakes for only $0.58!